A Feilden Clegg Bradley Studios design for the University of Ulster’s new Belfast City Campus has received planning permission. The campus is part of a £250m higher education project to provide 70,000 sqm of central teaching, faculty and social learning accommodation across three linked sites in the Cathedral Quarter of Belfast city centre. This high density urban university campus blurs the boundaries between the University environments and the city by providing publically accessible thoroughfares and facilities across the lower three floors. 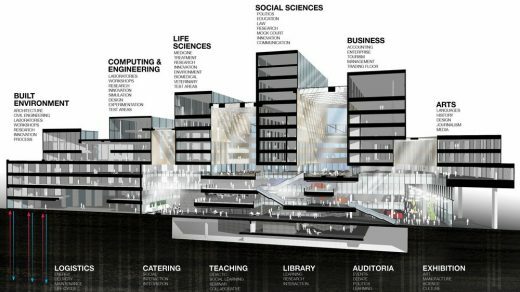 The internal arrangement of faculties and shared facilities will similar blur traditional boundaries encouraging collaboration across faculties and research disciplines. 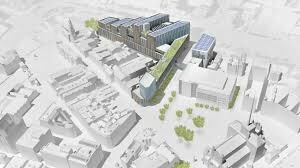 The buildings will accommodate up to 15,000 students and staff and has the potential to influence regeneration of this area of central Belfast and act as a catalyst for significant investment into the local economy. The architectural proposal evolved out of an interest in the geological forms defining Northern Ireland’s dramatic landscape. This led to a stratification of the form; strongly defining a base, middle and top. The glazed base reveals the activities of the University to the city while a middle masonry band houses inward facing classrooms and the upper most level, a combination of glass and brick, contains the facilities owned by the individual faculties. Equally, the historic context of the site influenced the building mass resulting in variations in height from twelve to four storeys thereby creating a dramatic addition to the city’s streetscape and skyline. Taken as a whole, the three new buildings form a sculpted set piece marking the entrance to the city core and reinforcing the traditional grain of the city. 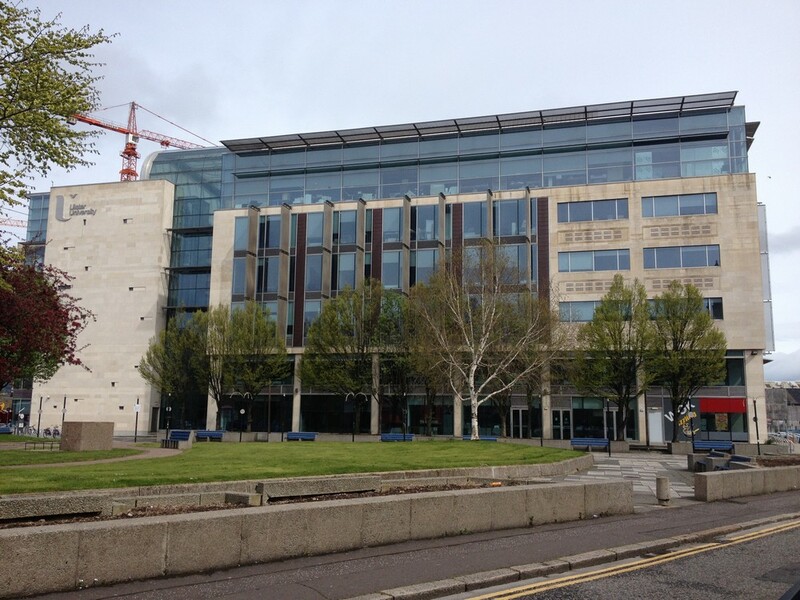 Belfast City Council’s Town Planning Committee unanimously backed Environment Minister Alex Attwood’s recommendation that the planning application for the new city campus be approved. 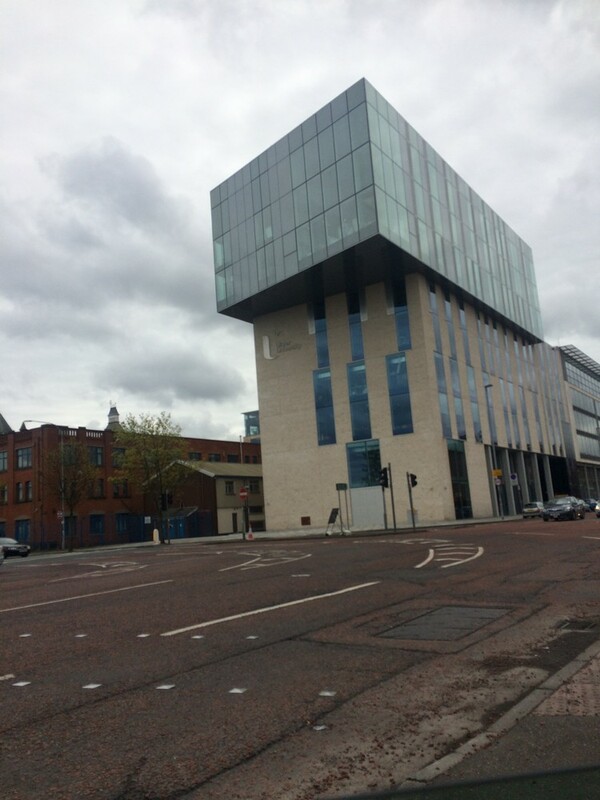 The Vice-Chancellor said: “The University of Ulster is delighted that both central and local government have given their approval for this significant investment in higher education, the future of Belfast and Northern Ireland as a whole. 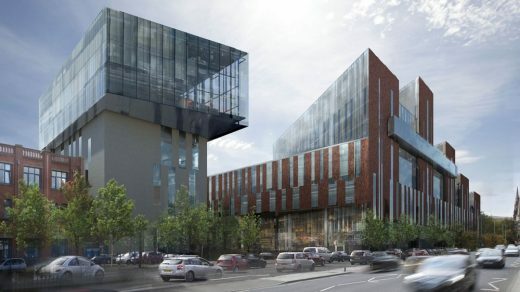 The granting of planning permission for the £250 million Belfast City Campus will usher in a thrilling new chapter in the development of the University, the city and the region – providing a state of the art teaching and learning facility for future students and a first rate centre for research and innovation in the heart of the city. 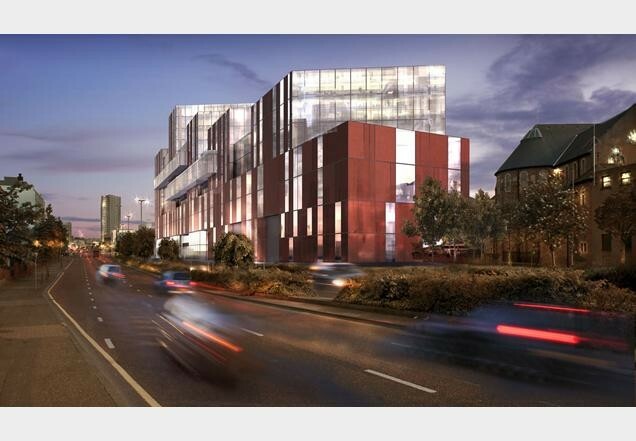 The Department for Employment and Learning has contributed £16 million towards the new campus. Feilden Clegg Bradley Studios won the competition in January 2012.